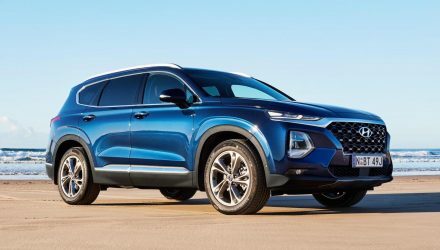 The redesigned 2019 Hyundai Santa Fe has been fully revealed, with its technical specifications detailed and new technologies which are firsts for the brand. 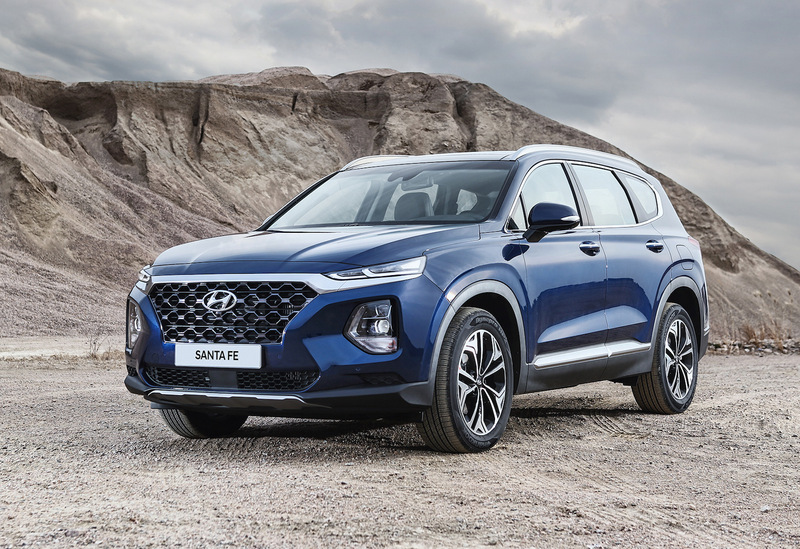 Featuring bold and fresh styling, the 2019 Santa Fe takes the ‘Cascading Grille’ theme to another level, with two sets of headlights like the Kona small SUV. 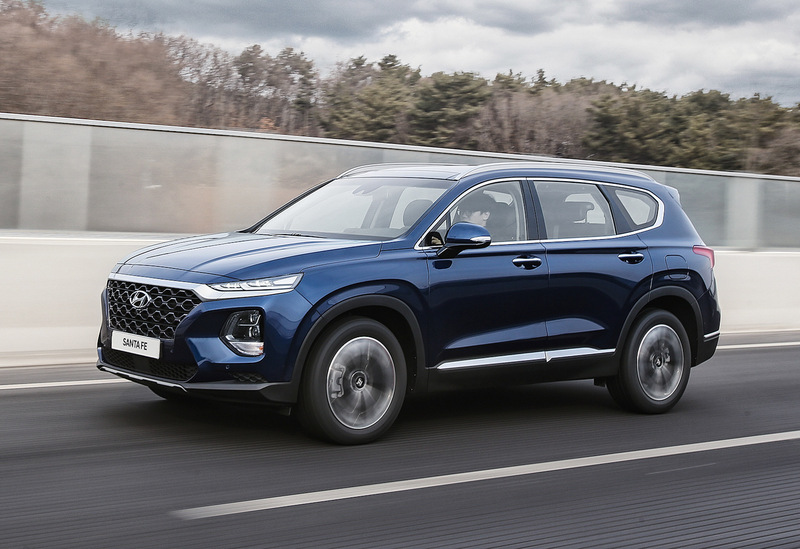 Taking aim at the ultra-competitive medium SUV segment, it is 4770mm long, 1890mm wide, 1680mm tall on a wheelbase of 2765mm, with 185mm of ground clearance. 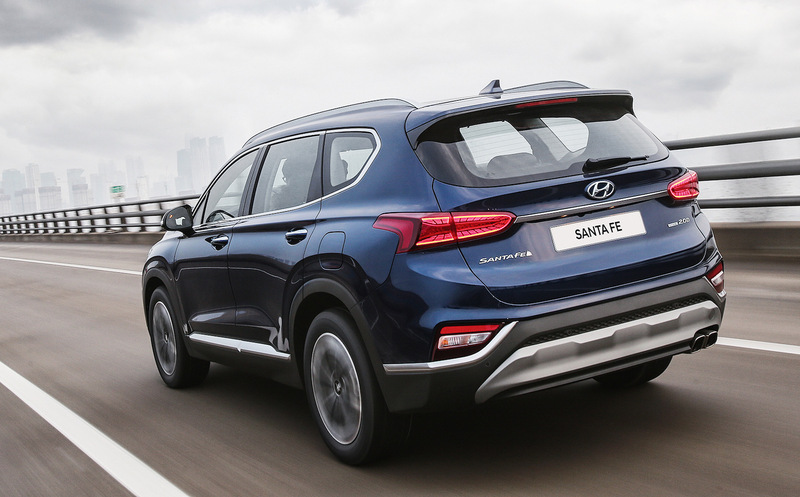 The new body, says Hyundai, contains more high strength steel than any other vehicle in its range, with 15 percent more than the outgoing Santa Fe. Bootspace is now 625 litres, which is an increase of 40L, with second row legroom up by 38mm, with a 18mm higher squab. A one-touch folding mechanism grants access to the third-row seats more easily than before. Headroom for third-row occupants increases by 22mm. Rearward visibility is 41 percent better than before, the company says. The new interior design borrows cues from other Hyundai models, most notably the floating tablet style touch screen, which ranges from 7.0-inches to 8.0-inches in top variants, with 3D satelite navigation and Apple CarPlay/ Android Auto. A digital instrument panel is a Hyundai first, while the front occupants are treated to extendable seat cushions in some models. A heads up display (HUD) is now available too, while all models get a Qi wireless smartphone charger. Onto powertrains, and the V6 is no longer part of the range. 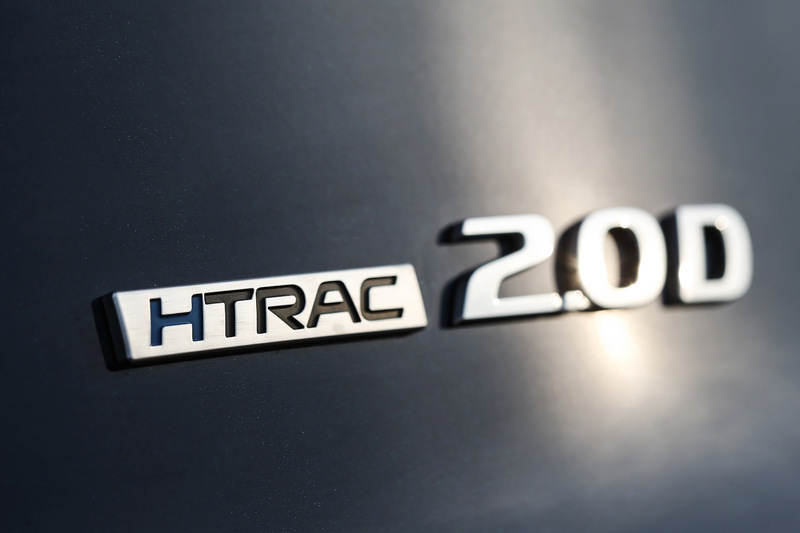 In its place, a 2.0-litre turbo producing 172kW and 353 Nm is the performance leader for now. 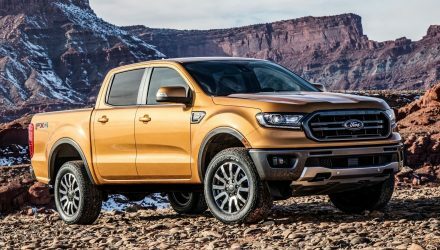 The 2.4-litre, 136kW/241Nm ‘Theta II’ engine is also available for some markets but so far, only the 2.2-litre ‘R-Series’ turbo-diesel, with 144kW and 436Nm is confirmed for Australia. 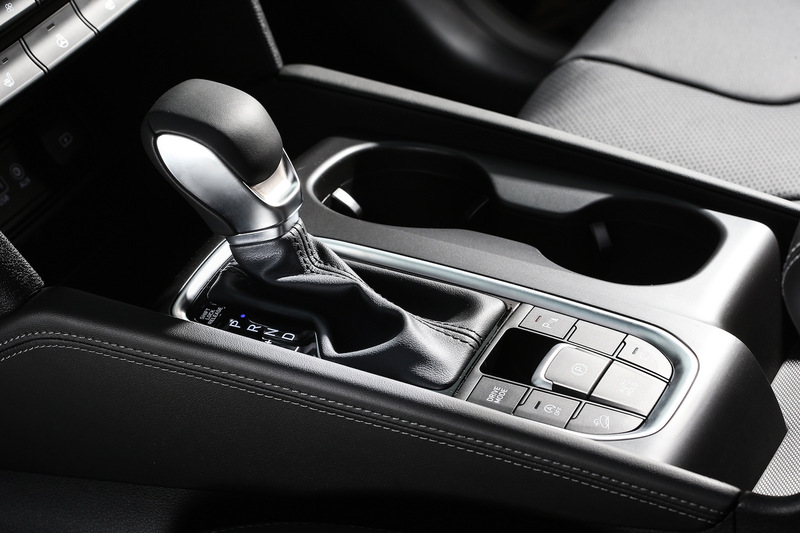 It is now connected to an 8-speed automatic gearbox and promises more refinement than ever before. 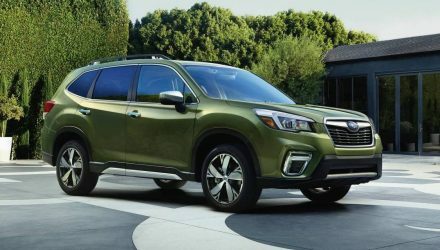 Major gains have been made in the ride and handling department too, thanks to a new suspension design, incorporating external vertical shock absorbers and more carpet materials. There is optional load-levelling suspension as well. Safety-wise, Hyundai’s SmartSense active safety package includes blind spot alert, forward collision mitigation, rear cross traffic alert, lane departure warning, speed limiter and more. A new feature is rear occupant alert, which alerts the driver if there are still rear occupants in the vehicle as they leave the car. 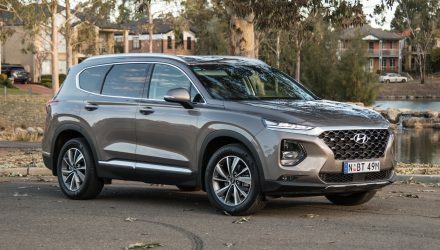 The 2019 Hyundai Santa Fe goes on sale in Australia in July.